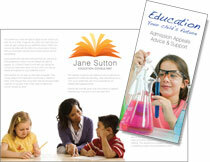 Click here to download our leaflet, Education - Your child's future. School Admissions Appeals and School Exclusions are areas where schools are sometimes phased by the legal procedures. This is where we can help alleviate some of that unnecessary pressure and costs. Whether you are seeking school admissions appeals advice or it is about an exclusion from school, we can give you sound advice, assist in writing your case and offer support or representation at appeal hearings. We have many years experience working with schools in the areas of school admissions appeals and school exclusions. We offer a clerking service to work with schools to facilitate in setting up and running their own school admission appeals. Our services ensure all aspects are kept within the specified legal framework of the current school admissions and appeals codes and exclusions law. We will assist in the admissions authority's appointment of independent appeal panel members and carry out their training, therefore ensuring the panel is truly independent of the school. This service will be of interest to foundation and voluntary aided schools and academies, and may be of particular interest to newly converted academies. We also have years of experience working with schools and families in the area of teenage pregnancy. Our consultant is in an excellent position to advise on how to help teenage pregnant schoolgirls succeed in their education whilst going through this emotional and challenging time.